The City of Lawrence began efforts to redevelop a former fertilizer plant on the eastern outskirts of town in 2010. The site is now ready for development and offers businesses new opportunities to expand in an area which is prime for development. Welcome to Lawrence VenturePark. 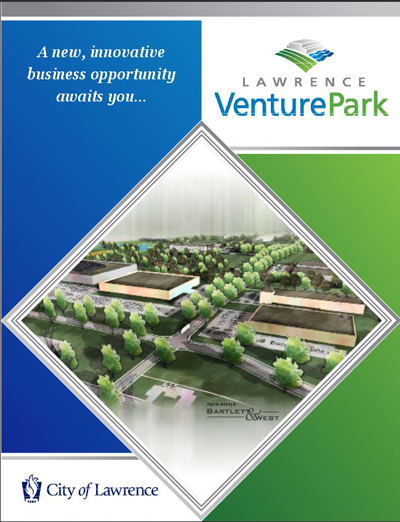 Lawrence VentureParkis a new business park located in Lawrence, Kansas. 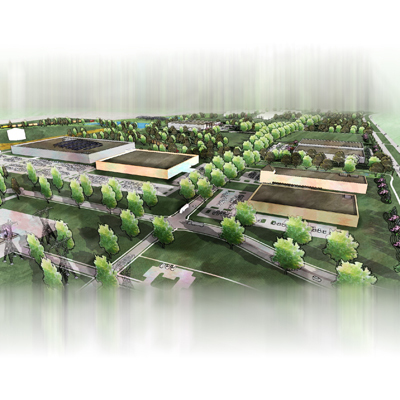 VenturePark is located on more than 200 acres and is adjacent to the existing East Hills Business Park. Lawrence is an exciting and vibrant community with an excellent business climate, exceptional schools, outstanding recreational amenities, a thriving downtown shopping and entertainment environment, and numerous arts and cultural opportunities. Lawrence is consistently named a best college town in national publications and websites and was named a “Best Small Place for Business and Careers” by Forbes in 2013. As home to the University of Kansas and Haskell Indian Nations University, Lawrence’s population is approximately 90,000 and is located 30 minutes west of Kansas City. Lawrence has an excellent regional workforce with 80% of the available labor pool having at least some college experience and 99.4% of the workforce having at least a high school diploma. Lawrence VenturePark is conveniently located on K-10, a four-lane divided state highway providing direct access to the Kansas City metropolitan area. Lawrence also enjoys three exits on I-70, providing quick access to the Kansas City metro to the east and Topeka to the west. In 2016, the State of Kansas will complete a loop of K-10 that provides a direct connection to I-70 from VenturePark. The completion of K-10 will also provide convenient access to US-59, which connects to I-35. VenturePark is development ready. City water and sewer infrastructure is available. The site is also served by shared stormwater facilities that incorporate leading-edge environmental management practices. The site can be readily served by a number of telecommunications providers and city-owned fiber optic cable is directly adjacent to VenturePark. Special assessments will be applied to the lots over a 20-year period to fund infrastructure improvements. VenturePark is directly adjacent to a Burlington Northern Santa Fe (BNSF) main rail line. The City of Lawrence and its economic development partners have a strong interest in creating primary jobs in the community and will be very aggressive in offering a competitive incentive package for a company bringing significant capital investment and quality job creation to the community. 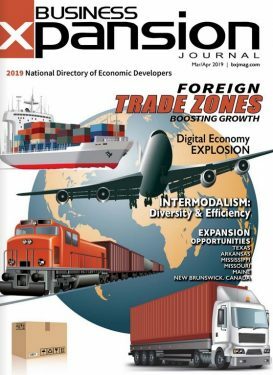 Incentives may include free or reduced land, property tax abatement, industrial revenue bond financing, infrastructure, special assessment waivers and job training grants. Lawrence VenturePark has been designed as a space for businesses, industry, residents and visitors alike to enjoy. The park’s Master Plan calls for a series of trails to be installed throughout the park to provide pedestrian access within the park and to adjacent developments. This will also serve as a recreational amenity for employees working in the park. The planned infrastructure includes sidewalks and bike paths throughout the park, with plans to connect the paths to the city’s already-extensive trails and bikeway system. Lawrence VenturePark is a located on the site of a former Farmland Industries nitrogen plant facility. The site was acquired by the City of Lawrence in 2010. Since then, the city has made significant investments in the site to provide additional industrial and business park expansion opportunities in the community. The city is engaged in limited environmental remediation of certain portions of the site and will remain responsible for any necessary environmental remediation within the Park.